Above is one of the outdoor public Nativity Scenes in Santa Monica. Unfortunately the fourteen displays are now down to just two thanks to a small but determined group of non-residents who want to rain on others' parades. Talk about "the Grinch Who Stole Christmas." 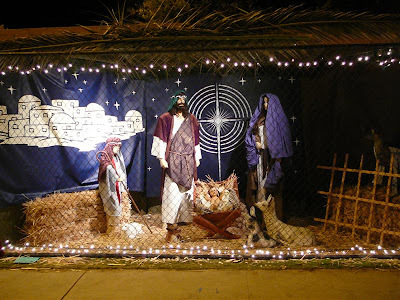 Curious to see what 2012 looks like ... and how churches in Santa Monica respond. The Salvation Army, Compton. 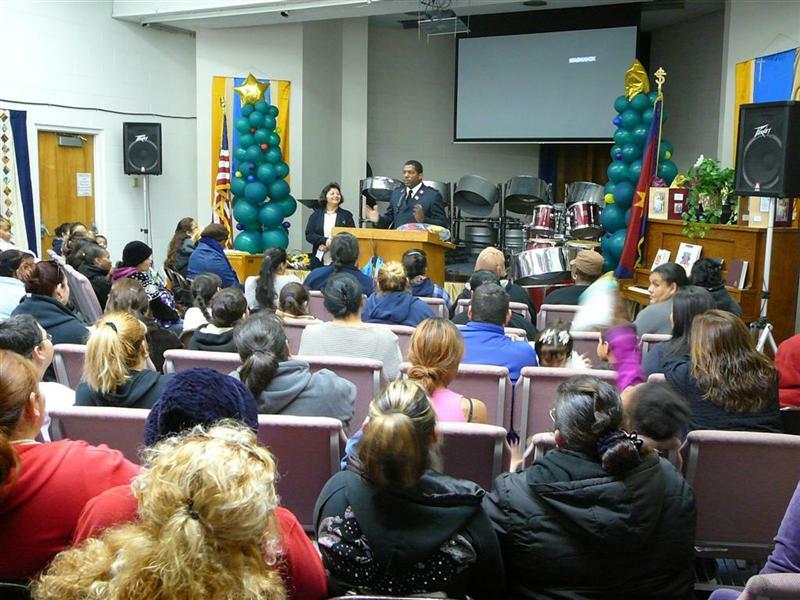 Our extended family made it a point to take a Saturday before Christmas an help out and serve in the community. The Salvation Army does a fantastic job meeting both the physical and spiritual needs of men, women, and children. Here's a link to their website, with an opportunity to give financially. 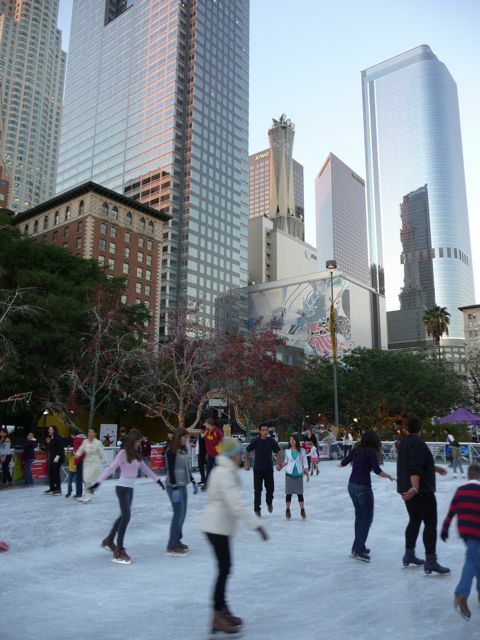 Downtown on Ice. Every year we went ice skating on December 23rd in downtown Los Angeles at Pershing Square with extended family. If you're in Los Angeles, or just visiting, it's a fun experience. 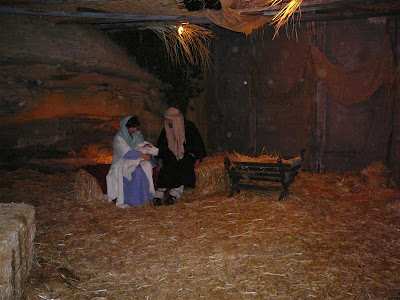 For our family, and millions of others around the world, Jesus Christ remains the central focus of Christmas. We so appreciated the annual "Back to Bethlehem" event sponsored by The Church at Rocky Peak in Chatsworth. It was simply amazing. It's a free event that attracts 18,000 people every year - and we can not recommend it enough. Here's a link to their website. 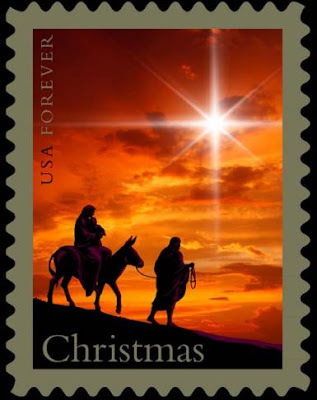 Speaking of Christmas, which is tomorrow, here's a sneak peak of the US Postal Service's religiously themed Christmas stamp for 2012. Wow, nice. Really like it. Thanks, US Postal.